You know that I write. Some of you may already know I like to bake. So here’s a confession. Sometimes they get in the way of each other. I’m not proud of it. It’s an occupational hazard; self-inflicted, I might add. 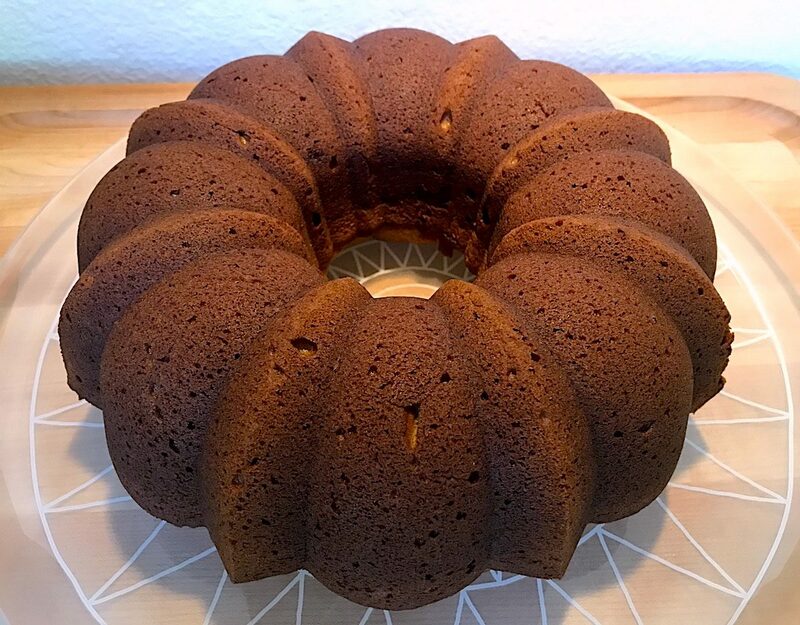 Yesterday, I was mixing up the batter for a pumpkin Bundt cake (the very one seen above), which I like to do rather than make two loaves. Why? I like how pretty the Bundt cake looks. Shamelessly shallow baking beauty standards: I lower my head in complicity. Now, I’m not saying this happens every single time. But lately I’ve noticed it happen quite a bit, and then I had this alarming thought that maybe it did happen every time. And that I had sort of edited that out of my memory. What happened this time was that I started thinking intently about some scenes I had already written in Book Four (of The Questrison Saga) and scenes I had not yet written in Book Three. Yes, sometimes I write out of order. Then I had entire dialogs going in my mind between various Book Four characters. But I would switch back to thinking about this one elaborate scene in Book Three. And then I looked down at the batter for the pumpkin bread and thought, Now, why isn’t this orange? But it’s really impossible for me to leave food out of my writing. I want my characters 1) not to starve 2) to have food they enjoy 3) to have food that I can have in real life 4) to have food I can never have in real life, because of…well, shall we say, exotic ingredients. As in, they’re not on Earth. So there are interesting beverages (some which affect certain characters quite differently than others), exotic fruits, and of course, pies, cakes, and other pastries. This is all really getting around to saying that baking requires precision and attention. So it really is okay to turn down the volume (never turn it completely off!) on the part of your mind that bounces around so that you can have a nice delicious treat to share with people you love. And then you can turn the volume back up, and you have the best of both worlds.